Jermaine Smit has been working on a Samsung Galaxy S6 concept for a while now and he teased this project days ago, but now he’s back with another render. This device has 2 front speakers and the back is not yet done. 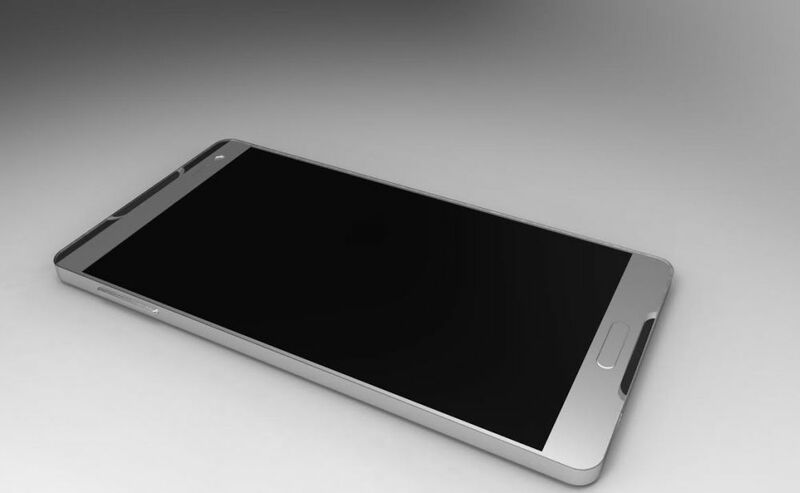 We do know that this Galaxy S6 will have a solar panel, probably at the back. The speakers are discretely integrated into the front and the Home button has been made less proeminent than before. The design is rather blocky and I’m pretty sure this phone is made of metal, or at least the render makes it look so. If you look at all the new flagships, going rectangular and blocky seems to be the trend now and nobody does curves anymore, probably not even Nokia. Obvious comparisons with an iPhone 6 will appear here, so let them pour in the comments are. I can’t really object to this design, since it looks pretty good, but I’ll say what I always say about rectangular phones: they dig into your palm after long minutes of talking on the phone.